Also referred to as Radiographs, X-rays can provide doctors of chiropractic with crucial information about a patient’s spine not evident during a physical examination. Doctors of chiropractic are extensively trained to follow standard criteria when determining if X-rays are necessary. A recent trauma, such as a motor vehicle accident or a history of trauma. Chronic pain, which has escaped diagnosis. A history of cancer or other disease, which may affect the bones. Suspected arthritis or other degenerative disease, common in individuals over 50 years of age. Suspected herniation of the spinal discs (intervertebral discs). Suspected misalignment of the spine, such as scoliosis. If you do require X-rays, rest assured that this office uses state-of-the-art technology, ensuring safe and accurate radiographs. After the doctor examines your X-rays, you’ll have an opportunity to review them something most patients find fascinating. 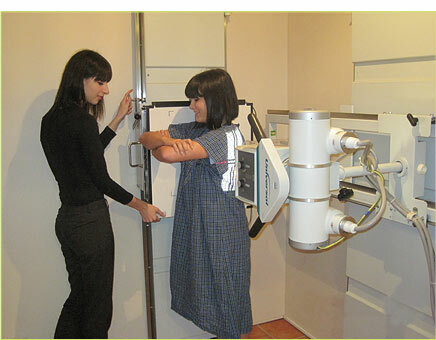 Although X-rays are sufficient for investigating most patients conditions, some individuals require additional imaging procedures, such as bone scans, computerised tomography (CT) or magnetic resonance imaging (MRI).